we're not in a bad way at all so this isn't a complaining post but just me admitting to a gorgeous spur of the moment had to have it post. 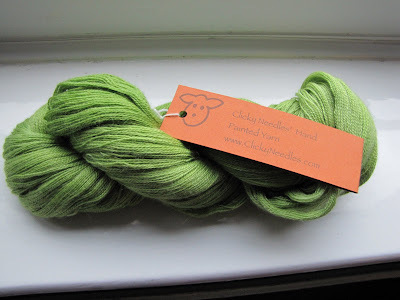 Suri Silk Lace mmmmmmm, squishy, sooo soft and my favourite shade of green! Now, what to make? Apologies for a really poor photo but every time I crop it Windows Picture thingamajiggy bins it somewhere so after 7 re-shoots at twilight I've decided to leave the windowsill in shot! Oh dear - I fear I have made you spend some money.